Bitcoin’s hard charging bull run of 2016 looks to continue, but the feverish pace of the advance has slowed. Buying power remains strong despite the recent record highs of the US stock market, a great sign for long term holders. Any sign of trouble from Wall Street could signal another sustained run. Consolidation at the $650-$660 level appears to also be the new established area of support. Four times the $650 level was approached and each time it was rejected with strong support. This is shown on the 24 hour chart below. $680 has been the level of stiff resistance for some time now, and this remains the case. Longs should be encouraged by the positive news of the year combined with sustained buying power, but $680 has repeatedly rejected runs. Traders with a high risk aversion should wait for this level of resistance to be cracked before establishing a position. The next level of resistance after $680 is at $720 and $750. Short term traders should continue to focus on the established RSI pattern. 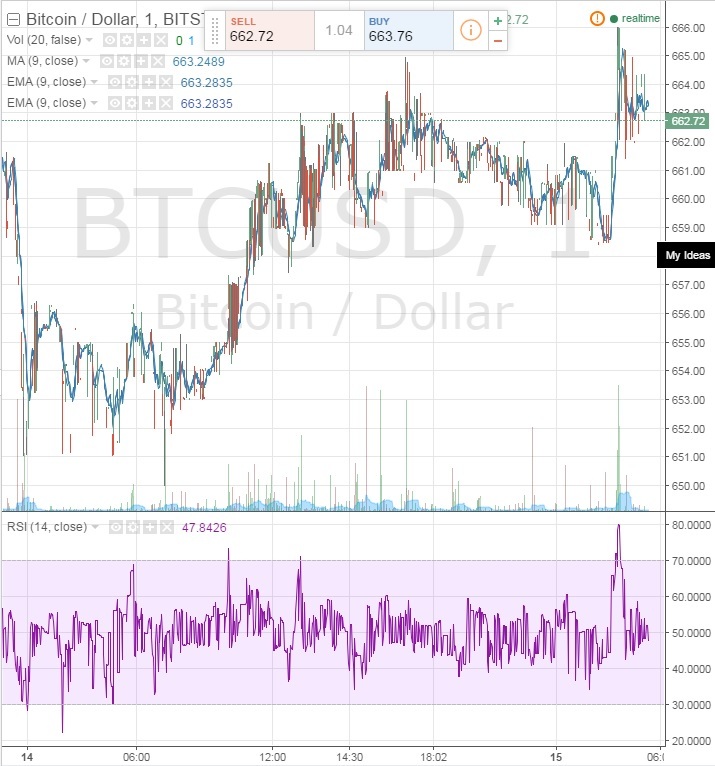 As seen on the chart above, every time bitcoin RSI moves above 65, a short position can be opened. When the RSI moves back to 55, Batman Bounce House the short position should be closed and profit taken. This pattern can be seen on the chart above. Notice the four times the 65 level was breached, there is an immediate fall in price. Alternatively, an RSI of 35 indicates short term oversold conditions and can be taken advantage of. Establish a long position when RSI breaches 35, but wait for a return to the 55 level before selling. As shown on the chart above, a rise in price occurs after each breach of 35, but it will require slightly more patience to the upside than the inverse trade. Traders should establish a quick stop loss of 3%-5% on either side of this particular trade as established patterns can disappear quickly. Successful RSI focused trading is dependent upon tight entries and exits. Keep a close eye on the next few attempts to crack the $680 level of profit taking. Should this level be breached, a bull run would become much more likely to be sustained. Current long positions should remain confident that the $680 level will at least be tested again.